Why travelling to Oman ? Pourquoi partir en Oman ? Who, more than a still working experimented guide, is best placed to create your self-drive tour ? Paul, a Frenchman living in the Sultanate of Oman, first worked there as a trekking guide and tour guide. Armed with his in-depth knowledge of the country, he set up his own tour operator - Oman Self Drive Tours - with Said, an Omani from Nakhl, a small city at the foot of the Hajar Mountains. Learn more about our agency and our ethical tourism principles. The freedom to travel at your own pace, with your family or friends, along with the peace of mind of an organized tour ! It is just that simple ! Learn more about the Oman Self Drive Tours concept. Our tours are tailored to your desires : cultural visits, road trips, seaside holiday, more challenging circuits (hiking, canyoning, diving). Up to you ! Learn more about the activities we offer. A very safe country, an excellent road network carrying little traffic, a hospitable population: what more could you ask for when travelling without a guide? It is simple : wild and varied landscapes, a strong cultural change, the possibility to enjoy a real adventure away from crowds! 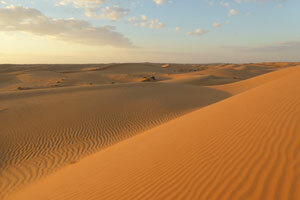 Learn more about ﻿the reasons why you should travel to Oman and how easily you can travel there. Here are a few tour examples. Please note that all our trips are tailor made: at your request, we can adapt a tour to your particular requirements or specifically design a tour for you. Programme and prices of the tour "Jebels, desert and wadis"
Map of the tour "Jebels, desert and wadis"
Programme and prices of the tour "Nizwa and the Sharqiyah"
Map of the tour "Nizwa and the Sharqiyah"
Programme and prices of the tour "Marvels of the Sultanate"
Map of the tour "Marvels of the Sultanate"
Programme and prices of the tour "Hiking in the Western Hajar"
Map of the tour "Hiking in the Western Hajar"
Programme and prices of the tour "The Hajar Mountains Loop"
Map of the tour "The Hajar Mountains Loop"
Programme and prices of the tour "The Hajar Mountains Loop - Comfort"
Map of the tour "The Hajar Mountains Loop - Comfort"